Unfortunately I can't send each of you a card from my favorite e-card site, but here's the unpersonalized view. I wish everyone a peaceful, healthy, and prosperous year--geez, even decade! Waitzkin suggests that “if a student of virtually any discipline could avoid ever repeating the same mistake twice—both technical and psychological—he or she would skyrocket to the top of their field. Of course such a feat is impossible—we are bound to repeat thematic errors, if only because many themes are elusive and difficult to pinpoint.” In his own chess career, for instance, he didn’t realize that he was “faltering in transitional moments until many months of study brought the pattern to light.” (pp. 107-108) And let me quote the passage that describes this faltering in full because it should resonate with traders. “For a period of time, almost all my chess errors came in a moment immediately following or preceding a big change. For example, if I was playing a positional chess game, with complex maneuvering, long-term strategical planning, and building tension, and suddenly the struggle exploded into concrete tactics, I would sometimes be slow to accommodate the new scenario. Or, if I was playing a very tactical position that suddenly transformed into an abstract endgame, I would keep on calculating instead of taking a deep breath and making long-term plans.” (p. 75) With awareness and action, he reports, his weakness was transformed into a strength. My follow-up post, on using adversity, will continue this general theme. As a sidenote, I just finished reading T. J. Stiles’s biography of Vanderbilt, The First Tycoon, winner of the National Book Award for non-fiction, a prize apparently worth the non-Vanderbiltian sum of $10,000. The commodore had horrific losses, adversities that beset him like clockwork, but he was always revitalized to push on harder and smarter than ever. He’s not nearly so endearing as Josh Waitzkin (he certainly wasn’t a Push Hands kind of competitor), but he’s a model of the power of relentless perseverance. First, what Irene Aldridge’s High-Frequency Trading: A Practical Guide to Algorithmic Strategies and Trading Systems (Wiley, 2010) is not. It’s not an idiot’s guide to high-frequency trading, and it’s not a do-it-yourself manual for the small fry self-directed trader who wants to transform himself into the next Renaissance Technologies. (At least not unless he gets a pretty hefty infusion of cash into his trading business and has highly developed quant skills.) Instead, this book is a description of some of the key elements of high-frequency trading—order execution, ways to find trading opportunities, backtesting, portfolio optimization, and risk management. It draws on academic research (some 20 pages of bibliography) and explicates many ideas with mathematical and statistical formulas. Aldridge’s book is, I think, particularly valuable for the intraday trader who will often have a high-frequency trading system on the other side of his trade. It’s imperative to know how these systems operate and how they can sometimes in what seems a blink of the eye exploit a market inefficiency and, presto, return the market to efficiency. The book also offers useful pointers for those seeking to develop, automate, and monitor their lower-frequency trading strategies. There’s a lot of meat on the bones of this book. To profit from it directly you have to be quantitatively savvy. To profit indirectly, you need only be intellectually curious and not mathematically challenged. For the latter group (yes, I include myself) let me share two of Aldridge’s broad-based hypotheses. I suspect that if a trader truly understands and acts on the issues involved in these two hypotheses, whatever his reasoned conclusion as to their validity, he will leapfrog ahead of his competition, high frequency or snail-paced. I will never be a high-frequency trader, but even for the “slower and duller” Aldridge’s book has a lot to offer. What works at warp speed is sometimes, slightly modified, a winner for those who are entering their trades (even manually) via a cable modem far from the exchange. Sometime back in August, in a comment on one of my posts, Jorge suggested that I read Josh Waitzkin’s The Art of Learning (Free Press, 2007). I got as far as obtaining a copy of the book and then somehow got distracted—too many books, too little time. When Linda Raschke referenced it in a recent webinar I refocused. I curled up with The Art of Learning, a truly marvelous book for anyone seeking to improve her performance. Josh Waitzkin, in case his name doesn’t resonate, was an eight-time national chess champion in his youth. He was the subject of Searching for Bobby Fischer, a book written by his father and subsequently made into a movie. He then went on to become a martial arts champion with 21 national championship titles and several world championship titles. He also helped to develop Chessmaster, the best-selling chess-playing computer game series, now owned by UbiSoft. You might describe him as an overachiever. I’m going to mine his book for insights over a series of posts, but there’s no way my desiccated summaries can begin to capture the passion of the book. You get what you pay for. Today’s theme is essentially the difference between statis and process. Drawing on the work of developmental psychologists Waitzkin describes two differing views of intelligence—entity and incremental. The first view looks upon overall intelligence or skill at a certain task or set of tasks as fixed; the kid is inherently smart or dumb, is good at math but is a bad speller. The second view might adopt the old Avis slogan “we try harder” as its mantra; with hard work, incrementally, the bad speller can improve and perhaps even become a crack speller. When challenged, those who have an entity view of intelligence are “brittle and prone to quit” because they have a “learned helplessness orientation”; the incrementalists keep plugging away. It is easy to destroy the self-confidence of the first group because “they feel the need to live up to and maintain a perfectionist image that is easily and inevitably shattered.” They find it difficult to come back from defeat. Fortunately it seems that we can reprogram ourselves to view particular tasks/challenges as part of an overall learning process in which we are trying to achieve mastery rather than as stand-alone exercises that will be judged or graded. This reprogramming is not only good for the soul; it also improves performance on these tasks. Kids who received “mastery-oriented” instructions outperformed those who received “helplessness-producing” instructions. Toward the end of August Goldman Sachs published a hedge fund trend monitor. Among the data collected were the fifty stocks that “matter most” to hedge funds—that is, the fifty stocks that most frequently appear among the largest ten holdings of hedge funds. Here are the top ten as of June 30, 2009. 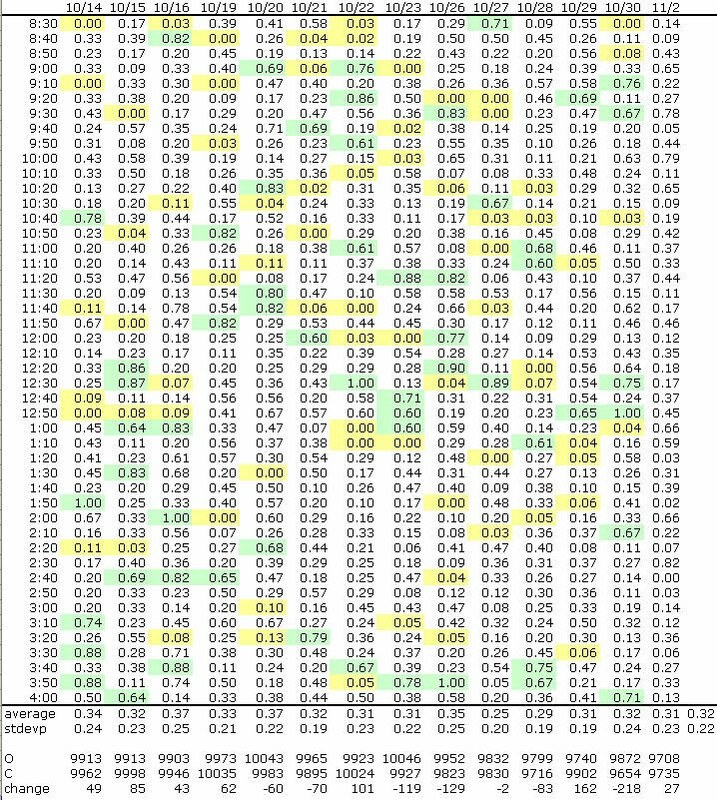 I calculated (first column) the rate of return between June 30 and December 10 and (second column) the rate of return between June 30 and the highest close after June 30 and before December 10. 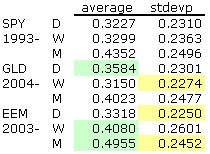 As you can see, as of December 10 the top stocks on average underperformed the SPY. By contrast, at their height they outperformed the SPY by about 9%. So hedge funds had to be nimble to get outsized returns from this basket of stocks. (Not that any one fund owned the whole basket.) Looking at the ten stocks individually, six were outperforming the S&P 500 as of December 10 and eight outperformed at their height, some dramatically so. As is so often the case, timing made the difference. AlphaClone also slices and dices hedge fund holdings and publishes leaderboard. This clone fund is made up of the largest equity holding for each hedge fund in their database, 50% hedged and rebalanced quarterly. 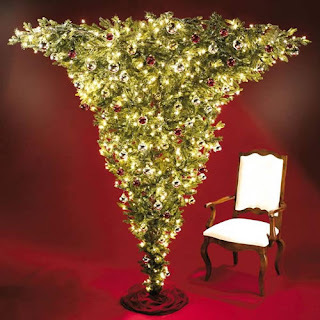 As Charlie Munger said, “Invert, always invert.” Why the upside-down tree? So specialty stores could display ornaments while using as little floor space as possible. 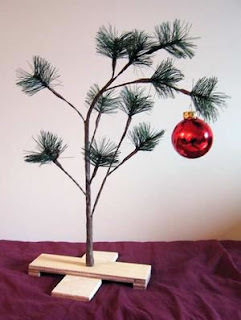 If you have a soft spot for the pathetic, Charlie Brown’s Christmas tree should really resonate. And what do you do with all those trading books and magazines? 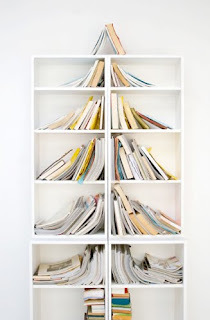 Make a bookshelf tree. 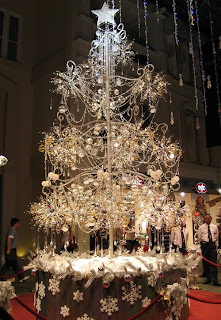 From a Singapore jeweler comes this tree with 21,798 diamonds totaling 913 carats and 3,762 crystal beads. Worth a million bucks! These images are among the ten featured on the Neatorama site (admittedly two years old, but fun anyway). I’ve started reading Peter Ward’s The Medea Hypothesis: Is Life on Earth Ultimately Self-Destructive? (Princeton University Press, 2009). I doubt that I’ll read it cover to cover, but its premise is intriguing in a Malthusian, doomsday sort of way. Contrary to Gaia hypotheses that envisioned “Mother Nature” as a kindly, nurturing force, Ward offers us Medea. She, of course, was the quintessential bad mother who murdered all her children after she found out that husband Jason, who could cast a spell over any woman (and bewitched her), was a cad—and an unlikable one at that. Ward’s Medea hypothesis is that “the overall effect of life has been and will be to reduce the longevity of the Earth as a habitable planet. Life itself, because it is inherently Darwinian, is biocidal, suicidal, and creates a series of positive feedbacks to Earth systems . . . that harm later generations. Thus it is life that will cause the end of itself, on this or any planet inhabited by Darwinian life. . . .” (p. 35) Only human intelligence and engineering, Ward suggests, can delay this fate. Okay, you ask, what does this have to do with trading and investing? Let’s look at two characteristics of Medean life. First, species keep increasing in population, ultimately outstripping resources vital to their continuance. Take the classic example of putting a breeding pair of insects in a closed jar with some food. The insects multiply, the food disappears, and the bugs die off from starvation, “usually with some last phase of cannibalism preceding the complete extinction.” I couldn’t help thinking of competing hedge funds when picturing the insects in the jar. Fortunately for some funds “angels” often add food to the jar. “But the point here,” says Ward, “is that . . . there are always too many bugs for the amount of food, and some are always dying of starvation or being killed by other bugs as they fight for food.” (p. 36) Simple Darwinism at work. Just ask the presumably dwindling number of real estate agents in Greenwich, CT.
Second, life is self-poisoning in closed systems. We need not linger over the image of increasing amounts of carbon dioxide in the air and liquid and solid waste in the ground. Instead let’s jump directly to the analogous question: is trading self-poisoning? We know that it can be. Just think of Frank Norris’s 1903 novel The Pit. (If you haven’t read this tale of the Chicago wheat pit, it’s available for free download online via the Gutenberg Project.) Perhaps Jesse Livermore’s suicide is another testament to the self-poisoning character of trading. But there’s no reason a trader has to encapsulate himself in a world that excludes everything that isn’t market related. Moreover, isn’t trading, virtually by definition, an open system—that is, a system that continuously interacts with its environment and that has supplies of energy, however metaphorically defined, that cannot be depleted? Well, in some sense yes, but unfortunately we can’t extend the notion of energy supplies, no matter how hard we try, to include financial resources. They certainly can be depleted through trading. I suspect that trading, at least for those who are successful at it, is both self-sustaining and self-poisoning. I also suspect that most trading systems start to degrade not only because markets change but also because they change markets; that is, they themselves have “self-poisoning” qualities. I have no proof of any of this, but it’s something to think about. And, oh yes, happy holidays! Ho-ho-ho. For those who think that Goldman Sachs gets more breaks than they do, here's an article from today's Bloomberg.com: "Taxpayers Help Goldman Reach Height of Profit in New Skyscraper." The two TV shows that are the backbone of my “keep going, you can’t stop until you find out what happens” incentive to exercise on my stationary bicycle are on an extended holiday break. 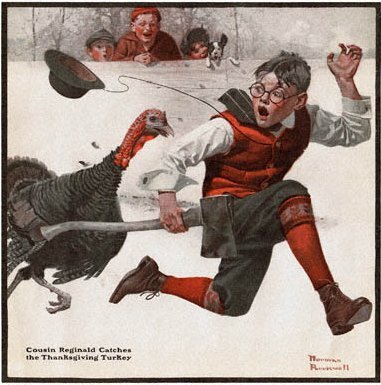 I don’t intend to cut you off so rudely, but postings over the holidays will be somewhat sporadic. This is the time I reconnect with people I haven’t seen in a while, write to those whom I probably wouldn’t recognize if I met them in the grocery store but who nonetheless etched a place in my life, and reflect on the passing of yet another year. It’s not just a flip of the standard calendar but also a flip of my personal calendar; I was born soon after everyone was all partied out. I might even read a book or two that have nothing whatsoever to do with the financial markets or the art/science of trading. Then again, as you know, I can find parallels practically everywhere. I’ve never taken it upon myself to collect trading rules, but somewhere along the line I saved thirteen trading rules from Dennis Gartman. As we look forward to the holiday season and yet another new year and, of course, the seemingly mandatory resolutions that we break almost as soon as we make, here are five. Traders are often exhorted not to reinvent the wheel. That is, don’t waste your time doing something that has already been done by other people when you could be doing something more worthwhile. Like making money using the wheels invented earlier. Fran Briggs, a peak performance coach, asked a group of elementary school students why we should reinvent the wheel, more precisely why they would reinvent the wheels on their bicycles. Among the more imaginative answers--you can’t see inside, they slow down when on grass, and they don’t glow in the dark. I would give a gold star to the second answer. The wheel was a brilliant solution to a set of local problems. For instance, round trumps other alternatives on surfaces that are, for lack of a more scientific description, pretty hard. Round isn’t a great solution in deep snow, in sand, in the water (despite the Mississippi steamboats), or in the air. The wheel doesn’t solve all transportation problems. So the first problem is that the wheel isn’t all it’s cracked up to be. It has its limitations. It doesn’t work under all conditions and it’s not adaptive. Even where the wheel should work it needs a lot of re-engineering. 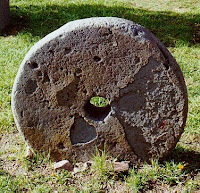 Racing tires, for example, are a very distant relative of the old stone wheel. And racing tires are useless for driving through snow; tread “localizes” the tire. In brief, innovators have two tasks. First, they have to keep reinventing the wheel to make it better at the tasks for which it was designed. Second, they have to realize the limitations of the wheel and come up with alternatives when the environment changes. It’s all too easy to get lulled into a false complacency. We are told that we can be highly successful simply by applying the tools that others have created. Perhaps. But would you want to enter the Indy 500 with stone tires? Would you want to enter the Iditarod with a sled equipped with racing tires? The folks with the latest and greatest don’t always win, but it’s hard to compete with antediluvian or irrelevant models. Sometimes the best use of one’s time is reinventing the wheel. According to John Murphy (Technical Analysis of the Financial Markets, 1999, and included in the online knowledge base of the Market Technicians Association) technical analysis is based on three premises: (1) market action discounts everything, (2) prices move in trends, and (3) history repeats itself. The first premise is grounded in economics, the second in both mathematics and physics, and the third in psychology. Williams adopts a fractal view of the markets, citing Mandelbrot’s study of cotton prices. “Each particular price change was random and unpredictable. But the sequence of changes was independent of scale: curves for the daily and monthly price changes matched perfectly. Incredibly, analyzed Mandelbrot’s way, the degree of variation had remained constant over a tumultuous sixty-year period that saw two World Wars and a depression.” (p. 36, quoting James Gleick, Chaos, 1987) By the way, those interested in Mandelbrot’s work should read The (Mis)Behavior of Markets: A Fractal View of Risk, Ruin & Reward, co-authored with the journalist Richard L. Hudson (Basic Books, 2004). I myself haven’t read it, so I’m going to leave fractals behind and move on. Instead of confronting the question of the repeatability of history head on (or the more interesting question of the extent to which each of us shapes the history we purport to know) I’m just going to interject a personal bias for which I offer no defense. And note that this is not a wholesale rejection of technical analysis as a tool. I personally take absolutely no solace in knowing that over a certain period of time in 62 percent of the cases the market closed up the day after scenario XYZ occurred. I keep thinking that the scenario has been framed too simplistically, so I have no confidence in this alleged historical probability. I also don’t know whether, even if over time this same statistical scenario continues to play out, I would be in the markets long enough to make the statistical strategy profitable. You could say that in my case the subjectivist theory of probability (that is, that probability is a measure of confidence or degree of belief) has swamped the objectivist theory of probability. Now that shouldn’t be the case for anyone with a scientific bent of mind, but unfortunately I can’t overcome it. I’ve just reread the draft of this post and would consign it to the dustbin save for the fact that, however embarrassingly illogically it meanders through some difficult and important concepts, there are a few ideas that I will try to develop more rationally at a later time. My defense is that I wrote it in the netherworld between being awake and dosing off. The heat went out in the house around 7 p.m. and instead of just sucking it up and waiting until the next morning I made the mistake of calling the heating oil company for service (I’m on a contract so they are obligated to come 24/7 at no per/call charge). The technician arrived in the wee small hours of the morning when, despite being on a caffeine high, I was still struggling to stay awake. Of course, when he finally left and I went to bed I was too juiced up to drop off instantaneously as is my wont. So another day was trashed. There’s merit in stoicism. I have an advance reader’s copy of Trading from Your Gut: How to Use Right Brain Instinct & Left Brain Smarts to Become a Master Trader by Curtis Faith. It’s scheduled for January publication by FT Press. Let me say up front that I was hesitant to ask for a review copy because I suspected that I, the “left brain smarts” reader, would pan it. From the title it sounded like yet another throwaway self-help book. Well, I confess I was wrong. I found Trading from Your Gut stimulating, even somewhat therapeutic. Unfortunately, a brief summary of its major premises doesn’t do it justice. Stripped to its bare bones it sounds at best pedestrian. It’s far better than that. The book is written for the experienced left-brained trader who could improve her performance by tapping into the power of her right brain. What does the right brain have to offer? It notices, it reads patterns, it is speedy; in fact, it can make decisions almost instantaneously. It generates ideas and recognizes opportunities; it gets the big picture. The intuition that comes from the right brain is radically different from emotion. It is, in fact, profoundly logical, even though it does not lend itself to rational analysis. And, Faith argues, it is an absolutely essential ingredient in successful trading. Trading requires decisiveness in the face of uncertainty; both hesitation and panic can kill you. To be decisive you need to stop analyzing and call on your intuition to pull the trigger with conviction and confidence. I have focused on intuition over analysis in this review because this is where Faith makes his contribution to the literature. Of course, he contends that the successful trader has to use both hemispheres of his brain, essentially cycling between them. Analysis gives the trader the confidence to trust his gut. Faith draws on examples from such diverse experiences as car racing, tangoing, fishing, and sky diving to illustrate his theses. He spends some time discussing findings from behavioral finance. And he demonstrates the proper way to use right-brain intuition and left-brain smarts in what he calls the rebound swing method. All in all, there are lots of goodies in this book. It’s a very fast read (that it’s under 200 pages helps), but it’s not easy to summarize because there are too many subtexts. I thoroughly enjoyed it. Today I’m going to draw on a May 2008 EDHEC paper entitled “Tactical Allocation in Commodity Futures Markets: Combining Momentum and Term Structure Signals” by Ana-Maria Fuertes, Joëlle Miffre, and Georgios Rallis. It’s a double-sort strategy that in its very broadest terms I think could serve as a model for traders and investors trying to gain an edge. The individual strategies are simple. The momentum strategy sorts commodity futures contracts into quintiles at the end of each month based on their average return over the previous R months—that is, the ranking period. For purposes of the study it is assumed that the futures contracts in each quintile are equally weighted. The investor then buys the top quintile, shorts the bottom quintile, and holds the long-short position for H months—that is, the holding period. The authors focus on thirteen permutations that did well in a 2007 relative strength study: four with a 1-month ranking period (1-1, 1-3, 1-6, 1-12), four with a 3-month ranking period (3-1, 3-3, 3-6, 3-12), three with a 6-month ranking period (6-1, 6-3, 6-6) and two with a 12-month ranking period (12-1, 12-3). The authors then explore various term-structure strategies. The most basic buys the quintile of commodities with the highest positive roll-returns, shorts the quintile with the most negative roll-returns and holds the positions for a month. 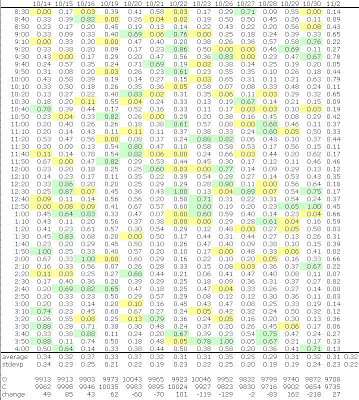 For our purposes here it’s not important to explore the variations, especially since the basic strategy tweaked just a tad performs better than strategies with more frequent rebalancing. Now comes the task of combining the strategies. First, it is important to ascertain whether there is enough difference in the strategy signals to make a combination worthwhile. “Term structure trading strategies in commodity futures select, by definition, the most backwardated and contangoed contracts. Even though momentum strategies are not designed per se to overtly shortlist the commodities with the steepest term structures, it has been show that their long portfolios tend to contain backwardated contracts, while their short portfolios are heavily tilted towards contangoed commodities.” Although the correlations between the returns from the two strategies are positive, they vary between 10.92% and 56.96%, with the mean correlation being 31.26%. The authors analyze six double-sort strategies—three that are sorted first on time-structure with ranking periods set to 1, 3, and 12 months and three that are sorted first on momentum with the same ranking periods. The most profitable strategy sorts first on time-structure and has a ranking period of one month (average return of 23.55% a year); the least profitable again sorts first on time-structure but has a ranking period of twelve months (18.81%). The paper is old (2002) but still interesting. Andrew W. Lo and Dmitry V. Repin in “The Psychophysiology of Real-Time Financial Risk Processing” report the results of their experiment to measure the emotional responses of ten traders—five highly experienced and five with low to moderate experience. They wired up these traders to plot real-time changes in their skin conductance, blood volume pulse, heart rate, electromyographical signals, respiration, and body temperature. Although the sample is very small and hence just a first stab, the authors noted some significant differences between the two types of traders. The less experienced traders, for instance, seem to be more sensitive to short-term changes in such market variables as deviations and trend reversals. Both sets of traders, however, saw spikes in their blood volume pulse in the face of volatility events. If you want a more complete synopsis of the Lo and Repin paper, there’s a digest entitled “Measuring the Stress of Financial Traders" on the NBER site. The only problem is that the site seems to be down right now. Here’s an interesting piece, originally posted in the OptionsClub Yahoo group, comparing options trade adjustments to betting on a horse race where you can continue to modify your bet throughout the race. Jeff Augen’s Day Trading Options: Profiting from Price Distortions in Very Brief Time Frames (FT Press, 2009) is tough sledding. Although it’s a slim volume (under 200 pages), it took me the better part of a day to digest it—or, more accurately, most of it. But I consider it time well spent. The odds that I will ever adopt Augen’s strategies as my own are slim to none. No matter. What is most valuable about this book is that it demonstrates how, with imagination and careful crafting, the trader can maintain his edge even as markets change. In this respect the book is both challenging and inspiring. Let me say up front that if you’re looking for a get rich quick scheme you’ll be sorely disappointed. The book’s title may evoke a variation on, or an update of, the day trading bubble days when guts trumped brains. But this book is more like the revenge of the nerds. Well, even that’s not accurate. Augen is not dueling against the unschooled but against the likes of high frequency traders. As short-term markets have evolved to the overwhelming advantage of those with outsized capital investments in both talent and technology the individual trader needs to retool. Augen points out one way to do this. The first order of business is to identify the enemy. For Augen the problem is that “the combined activities of automated high-performance trading systems extinguish market inefficiencies almost immediately.” For instance, “studies reveal that large price changes do not result in persistent trends—even at the single-minute level. Stated differently, the recent price history of a stock does not contain enough information to predict the direction.” (p. 35) The retail trader, whatever his time frame, will almost always lose to the institutions who avoid the effects of volatility and optimize their use of capital “with very brief trades placed at just the right time” (p. 44) over a variety of instruments. Augen offers several examples of how to exploit volatility distortions in options. The advantage of this approach is twofold. First, the trader doesn’t have to make a directional bet and, second, he is playing in a space (volatility) that high frequency traders avoid. Augen takes the reader through a series of challenging ways to capitalize on volatility distortions. Although Augen writes clearly and uses only the rudimentary math that all options traders should be familiar with, these examples are not for traders who struggle with how to structure a credit spread. Moreover, they are not formulaic by nature; the trader still has to seek out potential anomalies, still has to use his brains. But I think they are important case studies in how to think imaginatively, intelligently, and profitably about financial markets. Van K. Tharp is a prolific writer, trading coach, and workshop promoter. His latest book, Super Trader: Make Consistent Profits in Good and Bad Markets (McGraw-Hill, 2009), repeats themes familiar to anyone who has read his earlier works. But in passing he has a new target—economists who subscribe to the tenets of behavioral finance and who ask “If markets are not efficient because humans are inefficient, how can we use what we now know about human inefficiencies to predict what the markets will do?” This, he contends, is lunacy. (p. 215) Perhaps, but I would refer my readers back to my post on Richard Lehman’s Far from Random (12/4); I think there’s merit in including a behavioral component in modeling the markets. Tharp says that he practices applied behavioral finance but claims to take a different approach. “If most human beings are inefficient in the way they process information,” he asks, “what would happen if you started to make them efficient?” Put simply, in his recasting of the notion of efficiency, what would happen if traders made fewer mistakes? Tharp defines a mistake as a trader not following his written trading rules. Common mistakes include doing anything because of an emotional reaction, risking too much money on any particular trade, and not having a predetermined exit when you enter the trade. (pp. 222-23) Personally, I agree that risking too much money on a trade is a mistake, but emotions can provide powerful clues and a predetermined exit can cut profits short. These criticisms, however, are peripheral to today’s post. What I want to take away from Tharp’s attempt to keep an arm’s length away from behavioral finance is the idea of trading efficiency. What would happen if we used the common notion of economic efficiency and said that our goal is to use our resources in such a way as to maximize our profits? In one sense, of course, this is moronically obvious. But if we drill down just a bit, we can say that our goal is to reach a state where (to quote the Wikipedia article) “more output cannot be obtained without increasing the amount of inputs” and “production proceeds at the lowest possible per-unit cost.” (We need not address the zero-sum notion of the economic efficiency of markets that says “no one can be made better off without making someone else worse off.”) Of course, trading and investing are very different beasts from, say, the manufacture of cars, but I think that we might profit from trying to apply the notion of efficiency to our trading and investing plans. For example, we might try to figure out what combination of options and stocks most efficiently creates our desired risk profile. Or we might use Kaufman’s fractal efficiency to assess our performance. Keep thinking imaginatively; the folks making billions are. Chart Patterns by Bruce M. Kamich is the third volume in Bloomberg Press’s series Market Essentials: Technical Analysis. Kamich, a vice president at Morgan Stanley Smith Barney’s Technical Analysis Group, has written a very clear introduction to chart patterns for the uninitiated. He takes the reader on a journey from major tops and bottoms to such formations as triangles, flags, pennants, and wedges. For most of the patterns, he outlines targets as well as tactics and trading strategy. Not surprisingly, Kamich begins his book by asking why we should study patterns. He suggests that “with so many traders and so much money going toward black-box systems and sophisticated math-driven programs to get their ‘edge,’ . . . the new edge in predicting and trading the markets should circle back to the early days of charting.” (p. 7) By way of analogy he points to the movement away from processed foods to the “old ways” of preparing food. One of the problems with analyzing chart patterns today is that volume is elusive as it disappears from trading floors and exchanges into dark pools. So we don’t have the volume that is supposed to confirm a price pattern. “Oddly,” Kamich writes, “history may be coming full circle in that the chart books from the 1930s do not display the volume below the chart. In the 1930s, we did not have the data collection and spreadsheet capabilities of today to follow weekly and monthly volume stock by stock.” (p. 23) Kamich suggests that in the future the focus will be exclusively on price and that traders will have to adapt to the lack of volume data. For instance, they might replace the “strong volume” filter with a “percentage move” filter. Chart reading, Kamich maintains, “takes a bit of intuition.” (p. 8) As a result it has proven difficult to apply math and computer programming to chart reading. Although Kamich doesn’t close the door on such enterprises, he notes that humans can recognize a new pattern faster than a computer. Kamich’s book is a perfect introduction to chart patterns, complete with some 115 Bloomberg charts. And here and there the book even provides nuggets for those who are familiar with the literature on charts. For instance, Kamich cites a rare study on the long-base pattern that found that when a stock breaks out from a base that lasts at least eleven calendar quarters the median price gain was 300%. This might be no more than a case of data mining, but then again it might turn out to have some merit. In the world of trading and investing we are all familiar with trend following methods. I decided to look at trends differently and therefore plunged into Robyn Waters’ book The Trendmaster’s Guide: Get a Jump on What Your Customer Wants Next (Portfolio [Penguin], 2005). Waters spent over ten years with Target, eventually leaving her post as Vice President of Trend Merchandising to strike out on her own. Her book is organized along the lines of a reading primer—that is, A is for ANTENNAE, B is for BIG PICTURE, C is for CONNECT THE DOTS, etc. In this post I’m going to pull out some insights from the world of merchandising that I think are applicable to trading and investing. K: Once again, keep it simple. Not surprisingly, Diacu concludes that few catastrophes can currently be predicted with any degree of accuracy or with much lead time. For now the best we can do in most cases is (1) to mitigate risk (for instance, imposing strict building codes in earthquake-prone areas or immunizing at-risk populations) and (2) to have procedures in place to manage the fallout from catastrophes. As readers of this blog should know by now, I’m always on the lookout for new ways to frame familiar concepts, be they metaphors or models. Diacu has provided both an analogy and a statistical model for understanding the relationship between randomness and trend in financial markets. As usual, I’m late to the game: financial mathematics has long since incorporated modified versions of Lévy flights in its simulations because Lévy distributions allow for big jumps and have fat tails. But I figure I’m not alone in my tardiness, so here is an illustration of the difference between Brownian motion (left) and Lévy flights (right). Lévy flights, by the way, can also be characterized as random power law trajectories. Diacu points to the fact that there is a close connection between Lévy flights and the Mandelbrot sets that Sornette used in his work on market catastrophes. (See my posts of October 23 and 26 on Sornette’s Why Stock Markets Crash, though you won’t find any mention of fractals there). One connection between the two is the absence of a characteristic scale; in fact, Lévy flights have been called scale-invariant fractals. By now I’m in the deep end of the pool without my water wings. So let me climb out ungracefully and simply say that I find the Lévy flight model a fascinating way to combine the random walk theory of markets with the presence of trends. Like many of you, I contacted my senators and representative about the trader tax, using the form letter provided on many websites. I heard nothing from my representative, but since she was one of the co-sponsors of the original DeFazio bill I didn't expect an answer. Here is what Joe Lieberman wrote. Thank you for contacting me in support of an extension of unemployment benefits. I am pleased to hear from you on this issue. As you know, Congress, with my support, passed the American Recovery and Reinvestment Act (ARRA; P.L. 111-5). This legislation extended the Emergency Unemployment Compensation (EUC08) program, which provides federal funds for an additional 20 weeks of unemployment compensation to all qualified job seekers and an additional 13 weeks of benefits in states, like Connecticut, with high unemployment. The EUC08 program was originally scheduled to expire on December 26, 2009. Despite efforts to restore economic growth, unemployment continues to rise and currently is above ten percent. Although Connecticut's unemployment rate is slightly below the national average at 8.4 percent, it is my belief that we must continue to support programs to assist families, small businesses, and communities through these tough economic times. To that end, I am pleased to inform you that I strongly supported the Worker, Home Ownership, and Business Assistance Act (P.L. 111-92). This Act allows recipients of unemployment compensation benefits whose benefits have expired or are about to expire an additional 14 weeks of benefits. Plus, if Connecticut's unemployment rate rises above 8.5 percent, qualified residents may receive another six weeks of unemployment benefits. This legislation also includes several other provisions to spur job creation, including an extension of the first-time home buyer's tax credit, extension of the net operating loss carry back deduction for small businesses, and expansion of the net operating loss carry back deduction to businesses and firms with gross receipts greater than $15 million. President Obama signed this legislation into law on November 6, 2009. I will continue to support efforts to ensure that Congress is considering policies that provide an adequate safety net for workers who have lost their jobs and increase economic productivity and job creation. Please be assured that I will keep your specific views in mind as Congress continues to debate ways to spur economic growth. Oh well, perhaps if I'm concerned about the proposed transaction tax I also care about the extension of unemployment benefits. Or perhaps his staff is just proactive: if Congress passes the tax I'll need to apply for unemployment benefits. That would of course be tricky since I don't have an employer. At least Chris Dodd was on target, though not encouraging. Thank you for contacting me regarding H.R. 1068, the Let Wall Street Pay for Wall Street's Bailout Act of 2009. I appreciate hearing from you on this important issue. As you are no doubt aware, the United States Government has been obligated to act in bold and aggressive ways to address our current economic crisis. These responses have been necessary to stave off a total collapse of our economy, and have required an unprecedented amount of federal resources. This, coupled with the fiscal strains placed on the government by many of the policy choices of the Bush Administration over the last eight years has resulted in our projected deficit reaching a record-high level of more than a trillion dollars. In light of this, and the tremendous burden which these actions have placed on taxpayers, various members of Congress have offered plans to help repay this debt. One such proposal, the Let Wall Street Pay for Wall Street's Bailout Act was introduced in the House of Representatives by Congressman Peter DeFazio (D-OR). This legislation would impose a 0.25 percent transaction tax on the sale and purchase of stocks and other similar financial products, a fee which would be phased out once the cost of financial assistance appropriated under the Emergency Economic Stabilization Act, and subsequent Federal commitments entered into by the Federal Reserve, are repaid. While companion legislation has not been introduced in the United States Senate, please be assured that I will keep your views in mind should this or similar legislation come before the Senate for consideration. Again, thank you for contacting me. If you would like to stay in touch with me on this or other issues of importance, please visit my website at http://dodd.senate.gov and sign up to receive my regular e-mail issue alerts. If you also would like information on my work as Chairman of the Senate Committee on Banking, Housing and Urban Affairs, please visit the Committee's website at http://banking.senate.gov. Please do not hesitate to contact me in the future if I may be of assistance to you in any way. This advice comes from James Stein’s book The Right Decision (McGraw-Hill, 2010). The book is a primer in the basics of decision theory—more appropriate for the business school type trying to learn how to make decisions than for someone interested in decision theory per se. The book proceeds by way of case studies. Here’s one that caught my eye because it addresses one of my own flaws. Thomas Edison has to make a decision. He has some seed money with which to start his own company, but it’s a modest amount. He wants to give his business the best chance of becoming prosperous. He currently has two inventions at the top of his “to do” list: a stock quotations printer and an electric light. He has three choices in Stein’s matrix. (1) Develop the printer first because there’s an immediate demand for it although the market is small. And, I would add, it’s a natural extension of Edison’s work in telegraphy. (2) Develop the electric light first because the potential market is huge (although, as we know, it turned out to be a daunting project). (3) Share work on both projects initially and then concentrate on whichever project is coming along best. I don’t know whether this resonates with you, but it may just form the basis of a New Year’s resolution for me. A couple of off-topic items today. First, a T. S. Eliot quotation found not in my volume of Eliot poetry but on the Strategic Economic Decisions site. Isn’t that a sad commentary on my life? Anyway, here it is. Second, Maira Kalman’s wonderful monthly New York Times blog And the Pursuit of Happiness, normally a blend of photographs, illustrations, and hand-printed text. The link here is to the first post from May 3, 2006; meander through the series. The last one, a tribute to "slow" food, appeared just after Thanksgiving this year. Richard Lehman’s Far from Random: Using Investor Behavior and Trend Analysis to Forecast Market Movement (Bloomberg Press, 2009) is a deceptively easy read and, for anyone steeped in market literature, covers some familiar ground. But Lehman applies behavioral finance to the markets in an imaginative, thought-provoking way and offers some important if tentative first steps toward constructing a new model for valuing indexes and ETFs. His argument, in brief, is that every stock price has two components—fundamental value and subjective value. Fundamental value is similar to the value assigned to private companies; that is, it does not include the earnings multiples that analysts tack on to the intrinsic value of the company “on behalf of the market.” (p. 50) Subjective value includes such components as going concern premium, convenience premium, popularity premium, and anticipation premium. Subjective value, Lehman argues, is driven by the kinds of decisions described by behavioral finance. (Lehman devotes a chapter to an overview of behavioral heuristics.) Moreover, subjective value contributes more than fundamental value in determining the price of a stock; it also accounts for much of the risk in the stock. Lehman quickly moves on to overall market value. If you diversify away individual stock risk, you are left with market risk (which Lehman measures using volatility). This is essentially the subjective value of the market. And it is this subjective component that explains why “markets actually exhibit nonrandom characteristics in both the short and long term.” (p. 84) Behavioral deviations from the rational actor model lead to market anomalies. The challenge is how to measure the subjective value of markets. Lehman’s answer is to use trend channel analysis. As is usually the case with any transition from theory to practice, from thinking about the markets to making money in the markets, this is the weakest part of the book. Trend channel analysis may be useful, but it is not an adequate measure of the subjective value of markets. One could criticize Lehman for not providing rigorous arguments for his theses and for blurring the boundaries between concepts. But I think this is a challenging book that should prompt more, undoubtedly much less readable research. Since we don’t know who is on the other side of our trades we can’t identify the competition. But we know that in the markets everybody is after everybody else’s money. Moreover, the world of trading and investing is even more cutthroat than the world of business. Businesses can expand not just their market share but the very size of the overall market. PCs and Macs are not locked in a zero-sum game. The good thing about inventing our adversary is that we can change him at will. If either we or the markets change and we need an adversary with a different set of qualities, our imagination can produce him in a jiffy. Just remember: stay flexible, seize the opportunity, and you may just trounce your imaginary opponent. There are quite a few technical analysis interview books on the market, but Technically Speaking: Tips and Strategies from 16 Top Analysts by Chris Wilkinson (Traders Press, 1997) is by far one of the best, especially for those who want to hold positions for more than ten minutes. The author, it is important to stress, interviewed top analysts, not top traders. They may not have made the most money or achieved the status of heroes, but since they earned their living analyzing and advising, they had to be a bit more cerebral. The interviewees were Stan Berge, Ralph Bloch, John Bollinger, Marc Chaikin, Paul Desmond, Peter Eliades, Bob Gabele, Paul Montgomery, John Murphy, Martin Pring, Phil Roth, Lance Stonecypher, Dan Sullivan, Jim Tillman, Stan Weinstein, and Newton Zinder. Some of these names should be familiar to technical traders; others, I have to admit, I had never heard of. I started with the most intriguing name and discovered that Lance Stonecypher is an analyst for Ned Davis Research. Now that’s a very familiar name. And in one brilliant paragraph he summarizes the four characteristics that are the basis of the philosophy at Ned Davis Research and that the top investing winners, despite often contradictory styles, share. Let me quote it in full. To me that one paragraph alone is worth the $35 price of the book. But this nearly 500-page 8 1/2” x 11” book is jam packed with valuable information for investor and trader alike. The interviewer has done a masterful job of steering the conversations to bring out the best in each of these analysts. No cookie-cutter model here. She seems equally at home with those who rely on cycles, interest rate models, or volatility indicators. And, by the way, when you’re reading this book, don’t pick and choose your way through. There are valuable insights even for the experienced trader and investor in virtually every interview. In Beating the Financial Futures Market (Wiley, 2006) Art Collins makes a case for systems trading over discretionary trading. His argument is that the very nature of markets works against the discretionary trader since they are “overwhelmingly random noise with a small trend component. The latter is what mechanical traders largely hang their hopes on, but it’s not perceivable on an individual trade basis. You need many trials to expose biases the same way Vegas needs many bets to exemplify the fact that their long-term edges are ultimately insurmountable.” (p. 1) Discretionary traders are attuned to the noise and very, very few can extract anything meaningful from it. Ah, you might reply, but what about random reinforcement in dog training? Didn’t you quote Scott Page in your October 12 post as saying that when you’re teaching a dog to sit you shouldn’t give him a treat every time as a reward? Yes, but here’s the big difference. First, the dog trainer rewards only the sought-after behavior; she doesn’t give the dog a treat if he doesn’t sit. Second, the dog trainer rewards the appropriate response most of the time, so there’s not a lot of randomness. The element of randomness that is introduced into the training process supposedly strengthens the link in the dog’s brain between the trainer’s command and the dog’s response; it doesn’t turn him into a compulsive wreck. By contrast, the market (especially in a small time horizon) rewards both bad behavior and good behavior, punishes both good behavior and bad behavior, and may do this more or less randomly. And, contrary to Collins, I would suggest that it doesn’t single out the discretionary trader for this random reinforcement. The market is a terrible, perhaps even deranged teacher! You can’t take your cues from how this teacher reacts to your behavior. We need to get out of this random feedback loop. And I don't think we can do it by substituting less powerful feedback for more powerful feedback. We have to substitute for this debilitating random feedback something that’s even more powerful. Taking our cue from Art Collins (and, yes, I understand it’s not exactly original), one solution is to substitute the continuous for the discrete. The market gives us discrete feedback; it can recognize only one trade at a time. If we shift our focus from these discrete data points to a line that connects them in a meaningful way—to wit, our equity curve, we presumably have something that no longer exhibits the properties of randomness. (Or, if we do, we know that we’re doing something very wrong.) In the simplest terms, if our equity curve is sloping upward, we know we’re doing the right thing and are being rewarded. If it’s sloping downward, we know we’re doing the wrong thing and are being punished. Yes, there will always be some random reinforcement in the equity curve, but with any luck it will make us more obedient (and wealthier) dogs—oops, traders.